NECKLACE - SARAH COVENTRY. 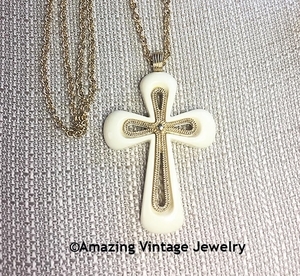 "CREDO CROSS" FROM 1975. 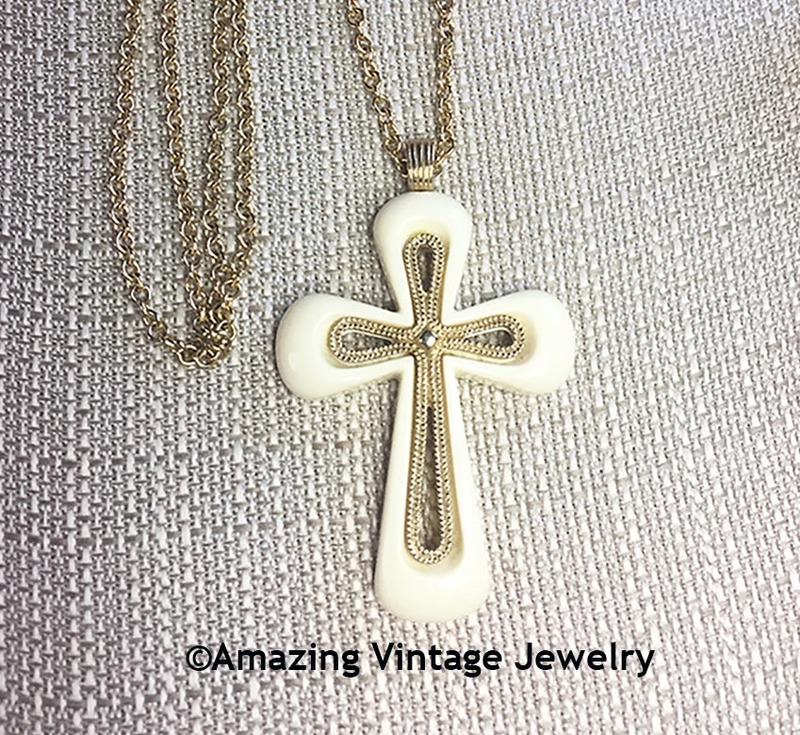 HUGE CREAM PLASTIC CROSS WITH TEXTURED GOLDTONE INSET. PENDANT IS 3 1/8" LONG, 2" ACROSS. CHAIN IS 31" LONG. VERY GOOD CONDITION.